After selecting all the products you want to compare (up to 4 at a time), you can go to the comparison by clicking the or & nbsp; depending on the device used or screen resolution. These two buttons are located both top and bottom of the page. After you've clicked the buttons you'll see products comparing them with their technical features all on a table. 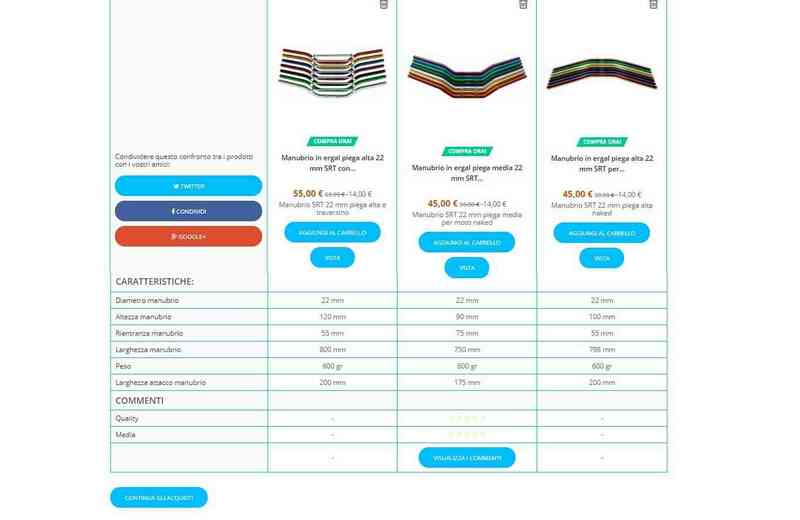 - You can decide to delete, by clicking on the basket symbol on the top, the products that do not make your case leaving only the right products for your needs. - You can share this social or forum comparison to help you with your choice, you're uUse the share buttons on the left.